Performance on paper are one thing, but the real issue on the course is another. For this reason would like to see more direct combat hybrid hipercars: LaFerrari Ferrari, McLaren P1 and Porsche 918 Spyder. 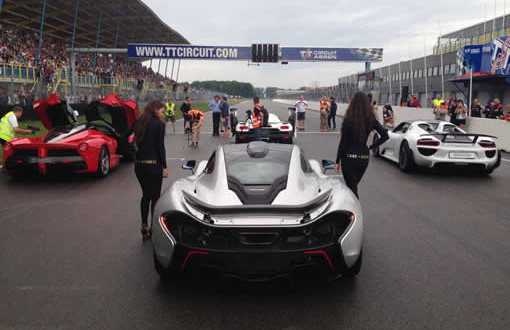 Still no one has brought all three models “on the line”, but the specific video were found together with the addition of Koenigsegg Agere R.
Cars are races at TT Circuit Assen in the Netherlands, but the track was wet from the rain, so there was no racing.